Champion Akkaraipattu Government Boys Vidyalaya Grade 3 kids team with their trophy and medals. with the sponsorship of Nestle Lanka PLC at the Bogambora Play Grounds, Kandy recently. Development Project Co-ordinator A.L.Faiz said. 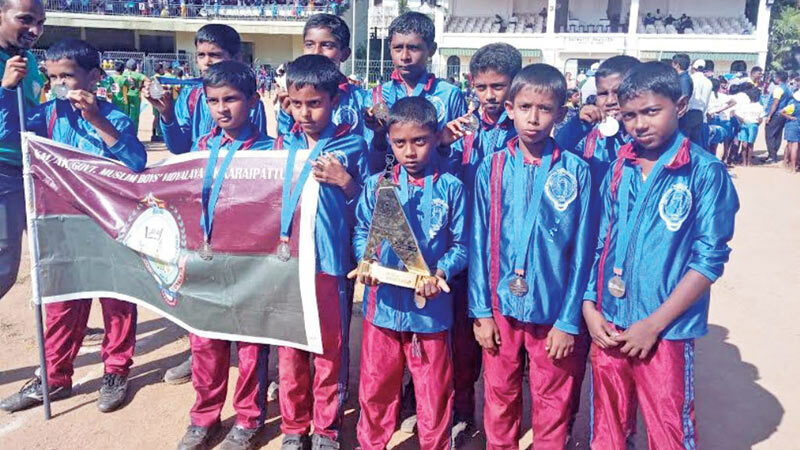 On this competition, Akkaraipattu Government Boys’ Vidyalaya Grade 3,4 and 5 boys kids’ teams emerged All Island second and first in the Eastern Province and secured three Gold medals. Zahira Vidyalaya, Akkaraipattu boys Kids’ team emerged champions and secured a Gold medal in the All Island Kids Athletics Championship grade three segment. Winners were congratulated by the Principals, teachers, parents and Akkaraipattu Zonal Education Director A.M.Rahmathullah.